Alexion's high cost rare disease drug Soliris has been recommended by NICE for use in England under its new approach to highly specialised technologies. 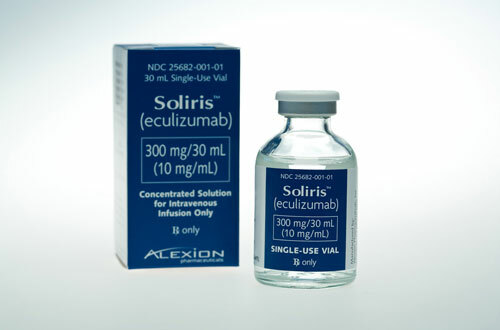 Soliris (eculizumab) is licensed to treat atypical hemolyic uremic syndrome (aHUS) drug, a life-threatening blood disorder can cause organ failure. Around 70% of aHUS patients with the most common mutations die, require dialysis or have permanent renal damage within a year. But the drug's extremely high cost means that treating the estimated 170 aHUS patients in the UK will cost the health service £58m in the first year, with the treatment bill set to rise to £82m after five years. It was this price tag that prompted NICE to issue negative draft guidance in March, in which it called on Alexion to justify Soliris' cost. The Institute's new draft guidance, released today, backs the drug's use, but also says “NHS England and [Alexion] should consider what opportunities might exist to reduce the overall cost of eculizumab to the NHS”. NICE chief executive Sir Andrew Dillon said: “From the available evidence and from the testimony of clinicians and patients, families and carers, it is clear that eculizumab is a significant breakthrough in the management of aHUS. Consequently Soliris' NICE recommendation is set to come with several conditions, including coordinating its use through an expert centre and creating monitoring systems to record the number of people who receive eculizumab and at what dose. NICE, which gained assessment responsibility for extremely rare - or ultra orphan - drugs like Soliris in April 2013, also wants a research programme to be set up to evaluate when Soliris treatment could be stopped or adjusted. Leonard Bell, CEO of Alexion, said the company would provide specific comments to NICE to address their conditions. NHS England currently makes eculizmab available in England through interim specialised commissioning arrangements, and that policy will remain in place until a final NICE decision - which is expected to be issued before the end of the year.